Lugarde Prima Fifth Avenue Duo Summerhouse: The Lugarde Prima Fifth Avenue Duo Summer house is the smallest of the Duo Range and as standard is supplied with two rooms with deceptively large space in each. 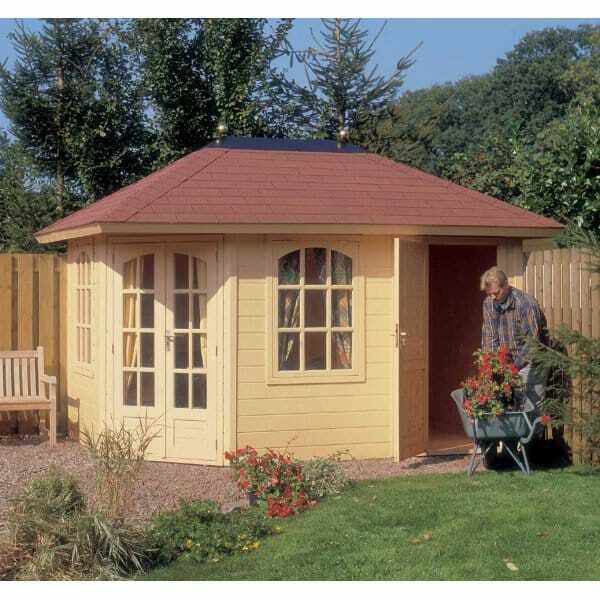 As the image indicates the smaller room can be used as a traditional shed whilst the larger room can be used as an office or sitting area. The building can also be presented as one large room which has the potential to be put to a huge range of uses. As standard this garden building includes 2 Top Hung Windows, a double door and a single door and is available from Simply Log Cabins.